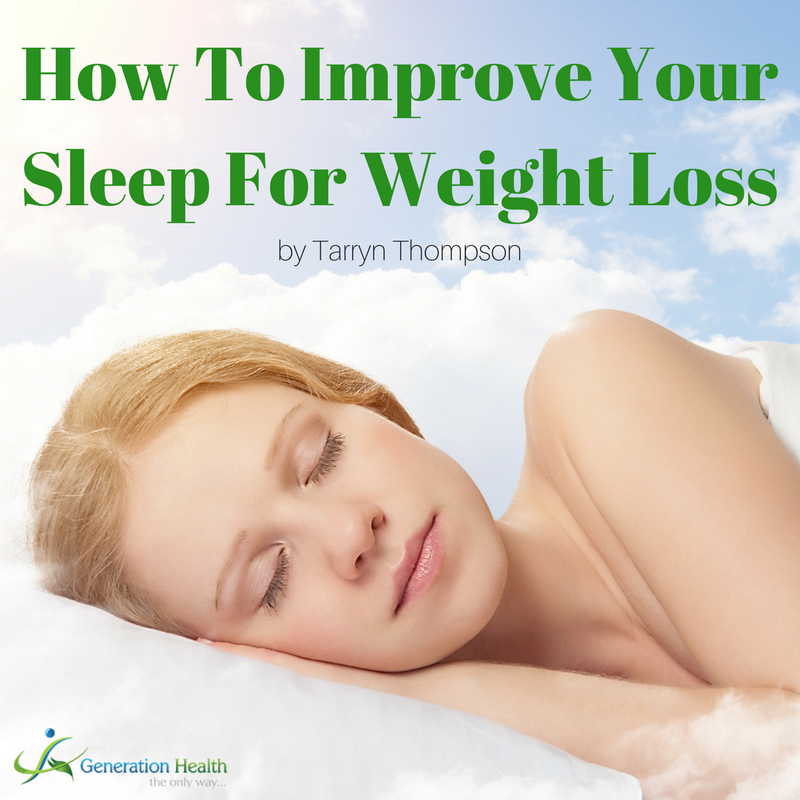 DOWNLOAD: HOW TO IMPROVE YOUR SLEEP FOR WEIGHT LOSS (PDF) Then, continue to read online below & leave a comment. Sleep is a very important to hormonal balance, muscle building and fat loss. As a matter of fact 98% of fat burning happens while you sleep. A lack of sleep increases inflammation in the body which in turn increases both cortisol and insulin, leading to fat accumulation on your mid-section. If that wasn’t bad enough, sleep deprivation also affects all important hormones involved in building muscle and burning fat. Your body does all of its repairing while you sleep. The muscles you stimulate during exercise do all of their growing repairing during deep sleep. ▶ Buy the best quality mattress and pillow you can afford. The average person spends 26 years sleeping. So it’s worth investing in. ▶ Go to bed at a regular time each night, it helps regulate your body clock. ▶ Establish a bedtime ritual. We know it works because we do it with our children. Try dimming the house lights and bathing with epsom salts and essential oils. ▶ Limit screen time especially right before bed as the light from your screen interferes with melatonin production. 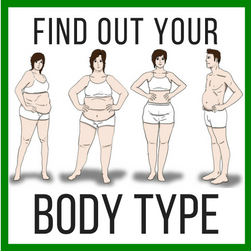 ▶ Keep calorie intake at maintenance levels or below. ▶ Avoid caffeinated beverages after midday. ▶ Ensure optimal vitamin and mineral intake. ▶ Keep your bedroom cool (but not cold). ▶ Develop a good exercise routine. It stimulates growth hormone which is active when you sleep. ▶ Go to sleep in complete darkness. Block out all light from street lamps, clock radios, alarm clocks, etc. Light can interfere with melatonin secretion. ▶ Having regular chiropractic adjustments. Chiropractic is a complementary medicine based primarily on the treatment of misalignments in the spine which directly affect the nervous system. I’ve seen a chiropractor on and off for the last 11 years. ▶ Try gratitude journaling before bed. 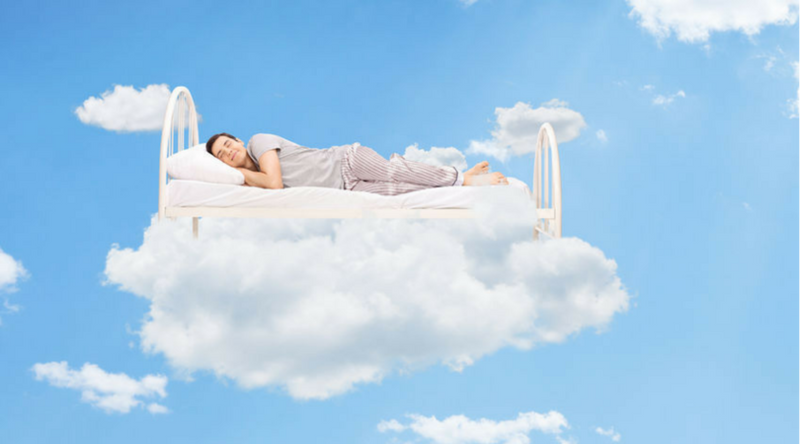 This can help calm your mind and improve your ability to fall asleep. Improving your diet is the first priority in your pursuit for better sleep. Magnesium calms the sympathetic nervous system helping your body to relax. Supplementing with high-quality magnesium, from about 150 mg/day to 500 mg/day, can help you get optimal sleep. 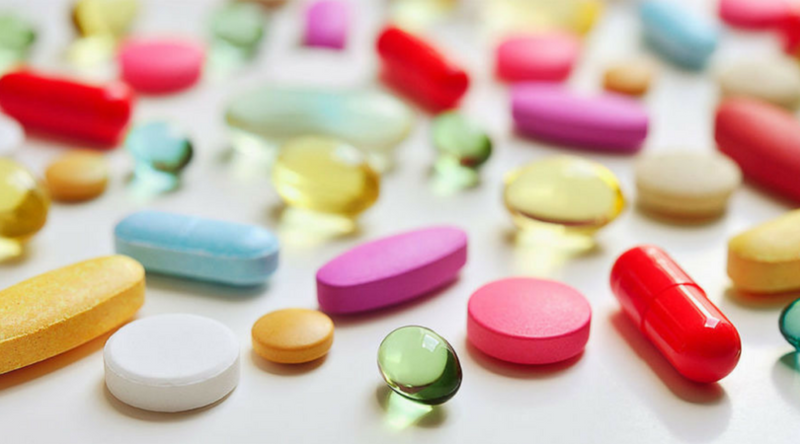 The best magnesium supplements contain magnesium citrate, glycinate, taurate, aspartate, malate, succinate or fumarate. Other forms may not be absorbed as well by the body. Optimal Vitamin D3 is important for proper insulin management and better sleep. It also influences many other hormonal processes in the body including metabolism, digestion and cardiovascular health, all of which can impact your sleep. Recommended dose is 3,000 IU’s to 10,000 IU’s per day. Take in the morning as evening use may disrupt melatonin production and sleep. B vitamin deficiencies have been linked to sleep problems as B6 and B12 are important for calming the nervous system and mind. B vitamins also help with detoxification and lowering inflammation. Recommended dose is 100 mg twice daily. CLICK HERE TO SEE THE MULTIVITAMIN SUPPLEMENT I USE AND RECOMMEND TO GET HIGH DOSES OF IMPORTANT SLEEP NUTRIENTS. Then, continue to read online below & leave a comment. Melatonin is beneficial for helping to restore sleep cycles. Recommended dose is 0.5 to 3 mg at bedtime. Chamomile has a mild sedative effect and may calm your brain and help you go to sleep sooner. Most people drink it in the form of a tea and consume one to four cups daily. Acupressure is not a supplement but a technique that’s proven to extract stress from your body and improve sleep. It also improves circulation to lose weight and helps to strengthen your digestive system that will help you control your appetite. All you do is apply a little pressure on the special energy meridian points on your body. DOWNLOAD MY DO-IT-YOURSELF STRESS EXTRACTION TECHNIQUES GUIDE. Then, continue to read online below & leave a comment. Meditation is also not a supplement but another highly effective way to reduce stress and promote good sleep. The importance of meditation is at an all-time high. With our fast-paced lives placing huge stress on our bodies and minds, the practice of meditation has gone from something that we should do to something that we must do. HOW DOES MEDITATION HELP WITH WEIGHT LOSS? Your mind has the power to influence your fat storage hormones. If you’re stressed out, worried, fearful or lonely, the impact on your health is immediate—and the hormonal imbalances created are the same imbalances that cause food cravings that lead to weight gain. Most people have been unsuccessful with diets; and in most cases, it’s because they failed to address the real issues underlying the weight gain. The hard truth is that mental and emotional stresses can be more toxic to your health than junk food. But the good news is that there is a solution, and it comes from transforming your body from the inside out… starting with your mind. I call this “inside out weight loss”. 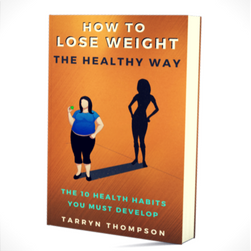 We start on the hormonal level, balancing your biochemistry, and then the food choices, the cravings, the overeating—all those so-called “bad habits” fall away natural and resolve themselves without restriction or frustration. CLICK HERE TO SEE THE GUIDED MEDITATION I USE AND RECOMMEND. Then, continue to read online below & leave a comment. I often get resistance when I suggest meditation and visualisation to my clients as the foundation of their weight loss journey. But if you can’t sit still or relax, this is a clear sign that meditation is exactly what you need. Like anything, you learn to meditate with time, and using a guided meditation, is a very simple way to get started. Guided visualisation is the ideal way to meditate for weight loss – especially for beginners It allows you to sit back, relax, and be guided through an experience which is easy for your mind to follow – no matter how unfocused or stressed you feel. With guided visualisation, you can rewire your neural pathways to create new ways of thinking about your body and your life. Any place will do. Your office, a bedroom, even a corner of your house can work. I’ve even done it in the bathroom because it’s the quietest place in their house. Literally, any place where you feel calm and can sneak away to for 10 minutes is just perfect. Seated positions are preferred for meditation. Sitting helps you focus, but if it’s just too uncomfortable at first, lying flat on your back is fine too. If you’re seated, try to sit up tall but without straining or forcing. You want to feel naturally balanced and relaxed in an upright position, close your eyes and relax. That’s it, you’re ready! 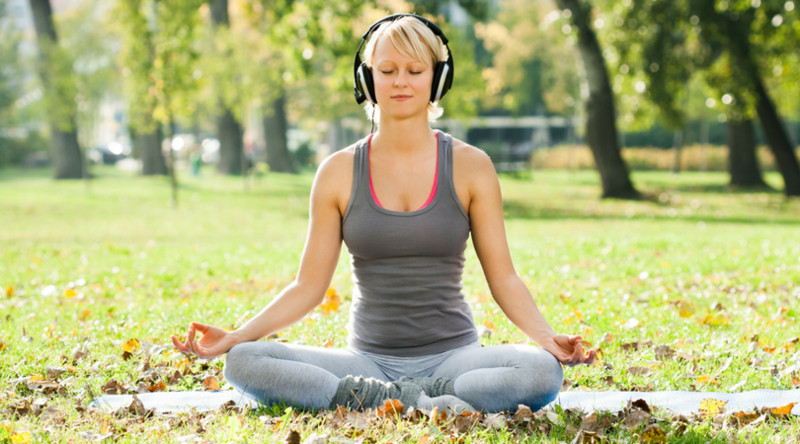 The best way to listen to guided meditations is with noise cancelling headphones. They block out other noises and can be very helpful for total concentration. That said, if you are unable to use headphones, using any type of speakers will work just fine too. Once you press play, your job is not to “do” anything. Your job is simply to relax and listen. 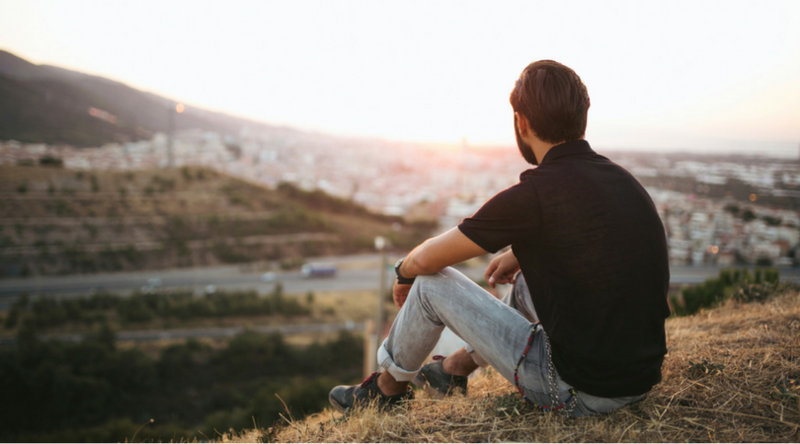 With guided meditation practices, you’ll find your mind will drift in and out of focus—this is normal. You might doze off to sleep occasionally, that’s perfectly fine. 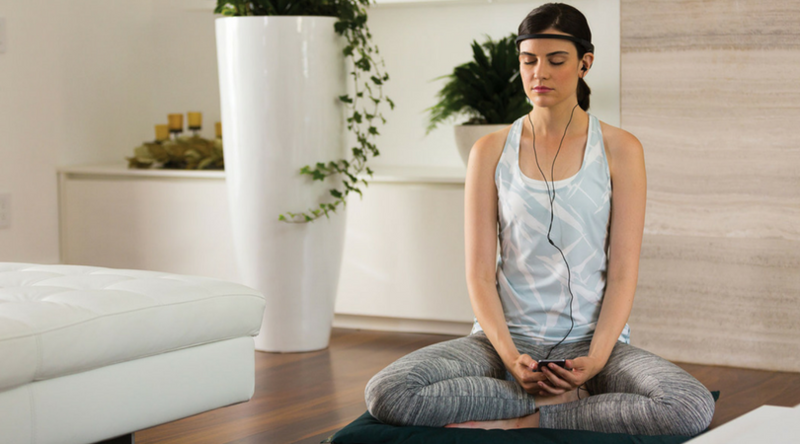 There is no right or wrong way to meditate—just keep pressing play and let it happen. No Comments to "HOW TO IMPROVE YOUR SLEEP FOR WEIGHT LOSS"